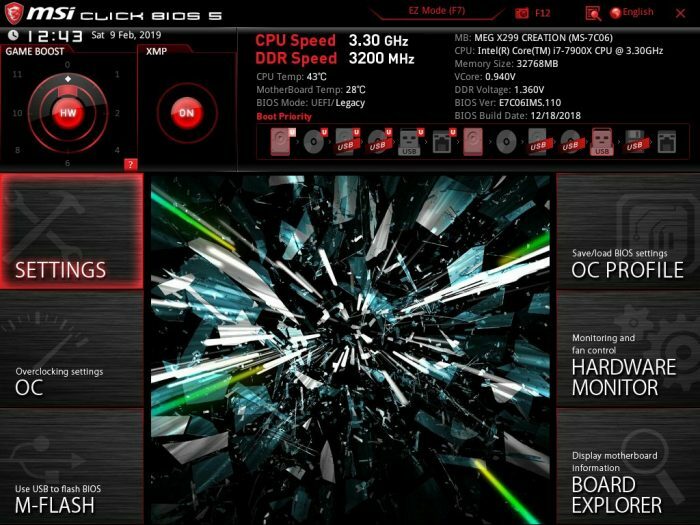 The X299 Creation board shares the same imagery we saw from the board and box in the center of the UEFI. 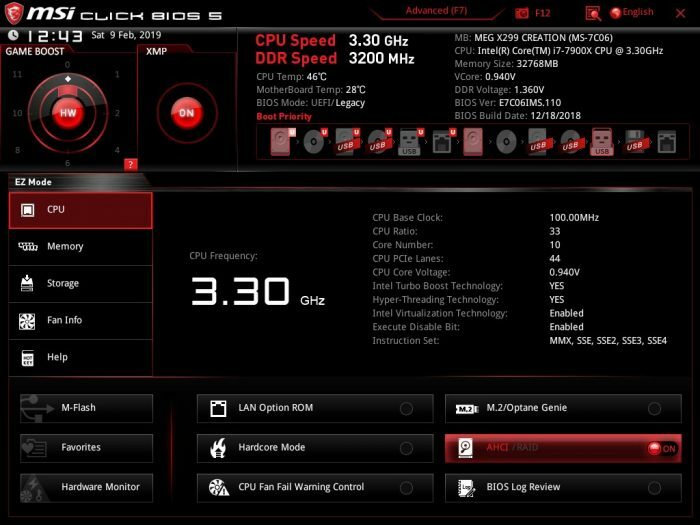 Other than that it is a bog standard UEFI like we have seen on the last several generations of MSI boards. Here is a shot under the Advanced > VROC page which is where you would setup which PCIe slot you have the M.2 Xpander installed into. This will enable bifurcation and full VROC capability with the M.2 Xpander populated. Do keep in mind though for many RAID configurations you will need a VROC key to enable RAID modes and 3rd party SSD compatibility. 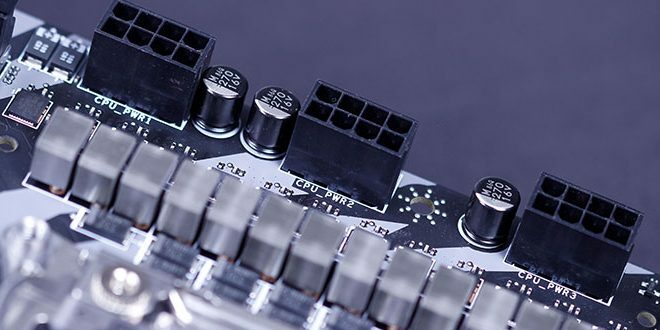 Here we have the OC section which enables you to manually tune your CPU to your desired performance level or push it to the limits of your cooling. 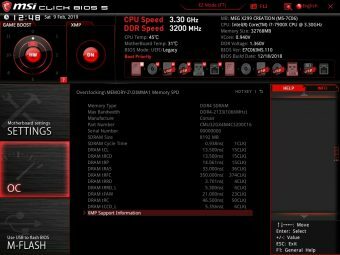 Here we have the informational screens which show both CPU features and information along with DIMM information if you need to know SPD/XMP info at a quick glance in the BIOS. 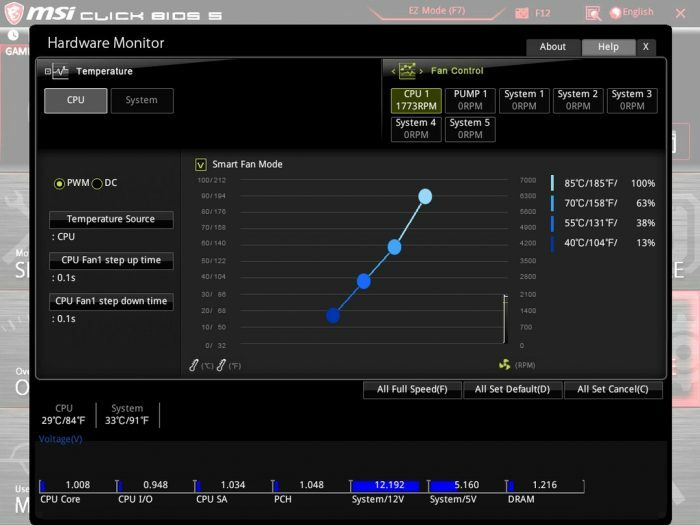 The hardware monitor area is where you will find the monitoring along with the smart fan settings as you can see above. 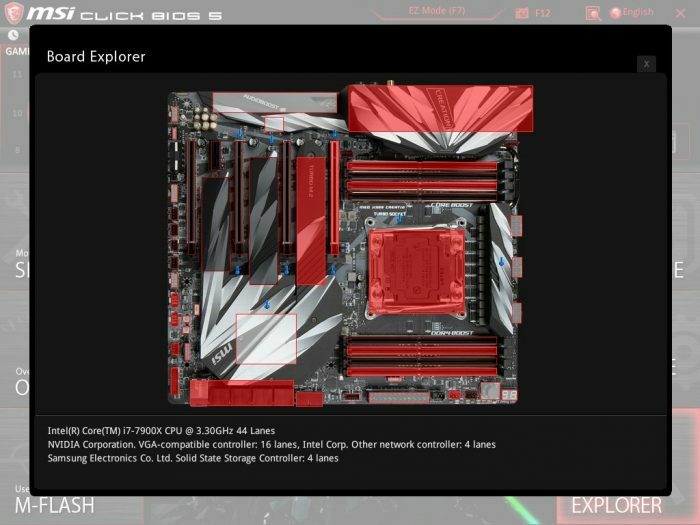 The board explorer has always been a neat feature to me as it has a picture of the X299 Creation and when you move your mouse over different parts it will list all installed components for that section. 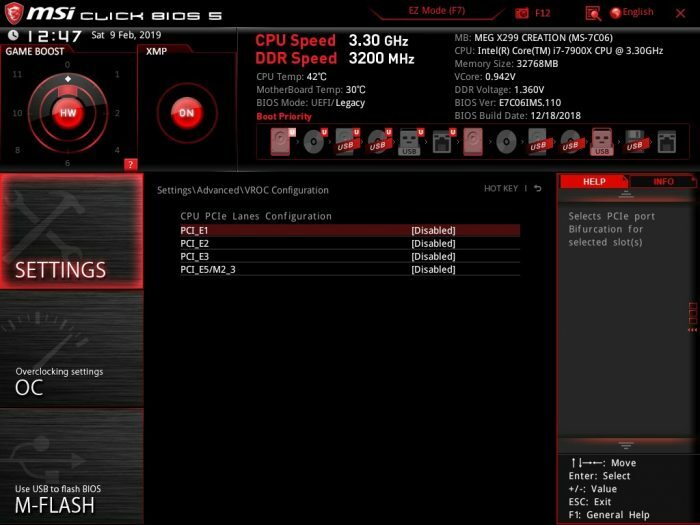 Lastly, we look at the common EZ Mode for the BIOS. while I’m sure many will find their way into the advanced section this is the more point and click version. This is for when you just want to set up RAID or XMP and walk away. 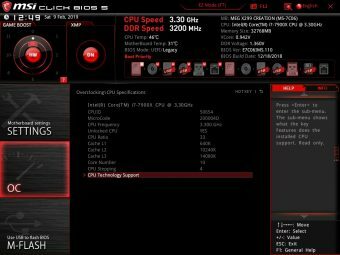 Now, I think its time we kick the tires and see how the X299 Creation runs.